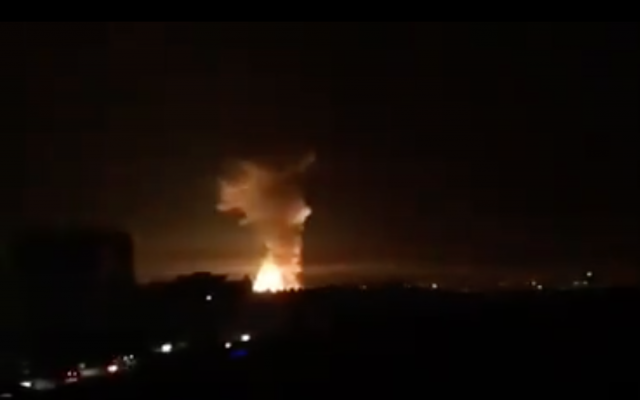 A Syrian facility linked to the country’s chemical weapons program was bombed on Monday night, triggering Syrian air defenses, state media reported. The Syrian army said that Israel fired missiles from Lebanese airspace, adding that two people were killed in the attack and the facility was severely damaged, Hadashot reported early Tuesday. This entry was posted on September 18, 2018 at 7:26 AM and is filed under Uncategorized. You can subscribe via RSS 2.0 feed to this post's comments. You can skip to the end and leave a response. Pinging is currently not allowed.